Upload your data log in order to replay your data. 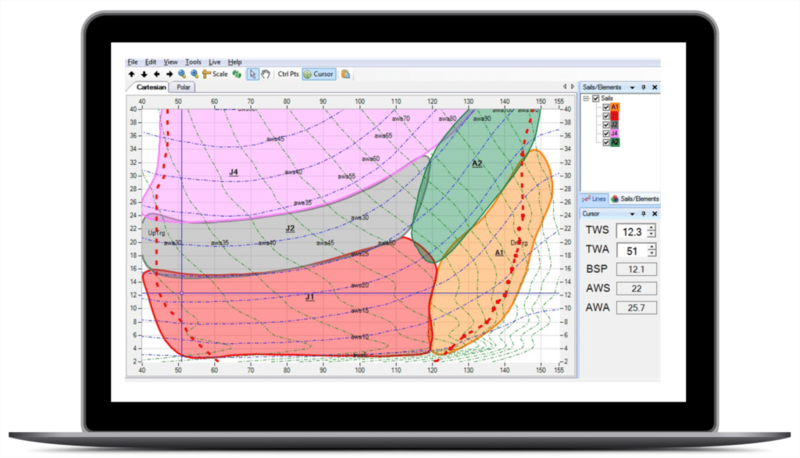 Use advanced algorithms for identifying calibration issues. 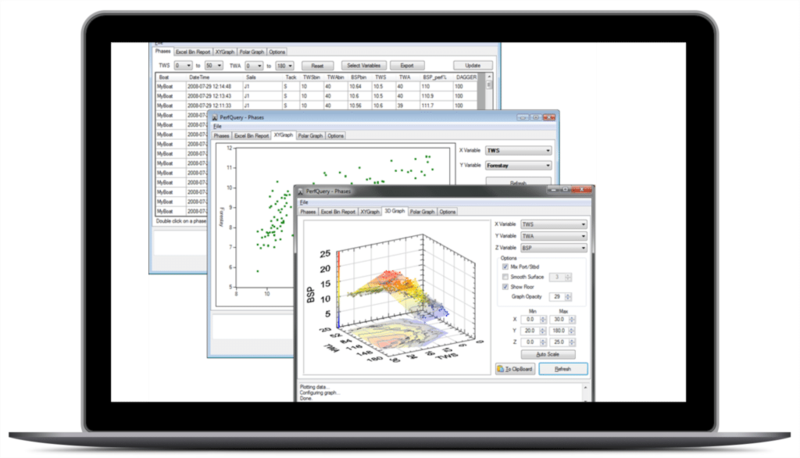 View the data using a number of graphs and statistical modules. Create your performance reports. Update your polars, crossovers and targets based on your analysis. Synchronize audio, photo and videos to your track. Make end of regattas/season reports, continuously update your polars, crossovers and targets based on multiple sailing sessions. Get the exact statistics of the life of your sails and gear, and much more. 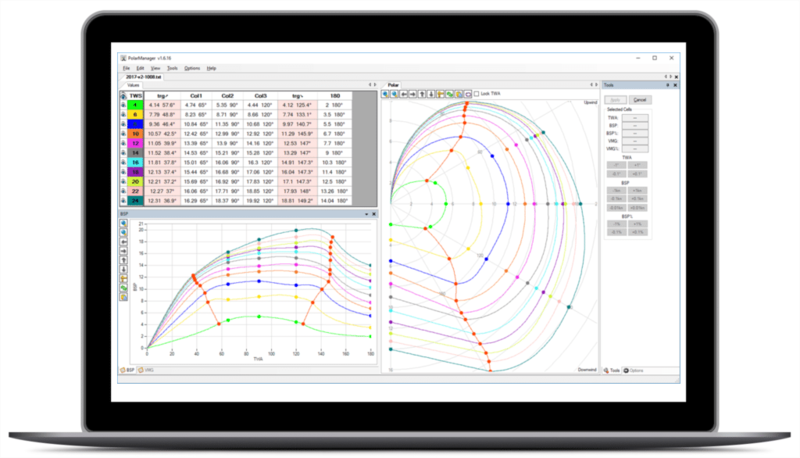 This is the most intuitive program out there to view and edit your polars, giving you the ability to easily convert them from one format to another, overlay multiple polars, and even import sailing data for more accurate modification. Never have to think twice about which is the optimal sail for the current weather! Start building your crossover from scratch or import information from your sail designer. 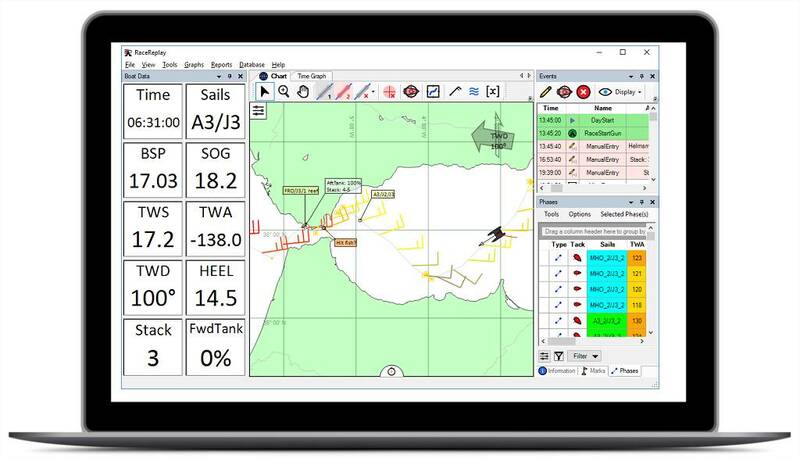 Update and refine the crossover using past or live sailing data for quick and accurate decisions. Data logs come in all shapes and forms depending on how they were generated. 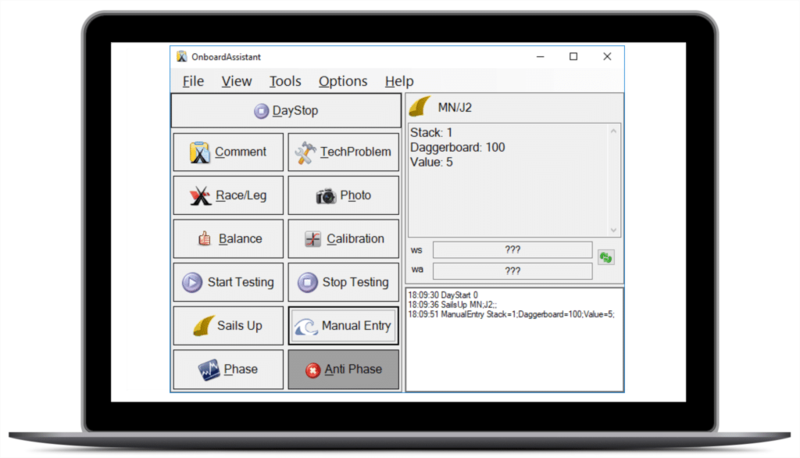 If required this pre-processing tool lets you tidy your log up before it can be used with the rest of the tools. iDataNet is an iOS app wihch lets you view a stream of data coming from your onboard electronics. You may customize multiple pages of data so that each sailor may recieve exactly the data he needs, saving the need for extra displays. Compatible with Adrena and Expedition. 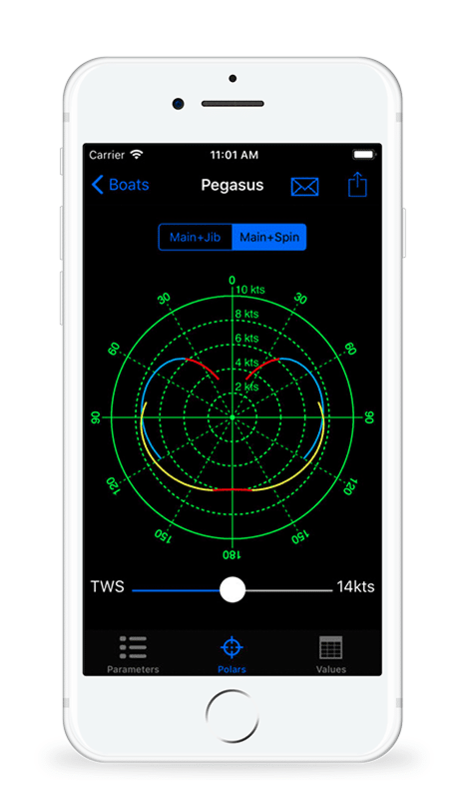 iPolar is an iOS app wihch has been developed to generate accurate polars of cruising yachts by entering basic boat measurements. The resulting polar can be used by your electronics or with routing software. It is currently limited to monohulls with a size ranging from 8 to 20m. * All prices displayed exc. VAT and shipping costs. An additional fee of 5.5% applies for PayPal. Replay and analyze your sailing sessions. 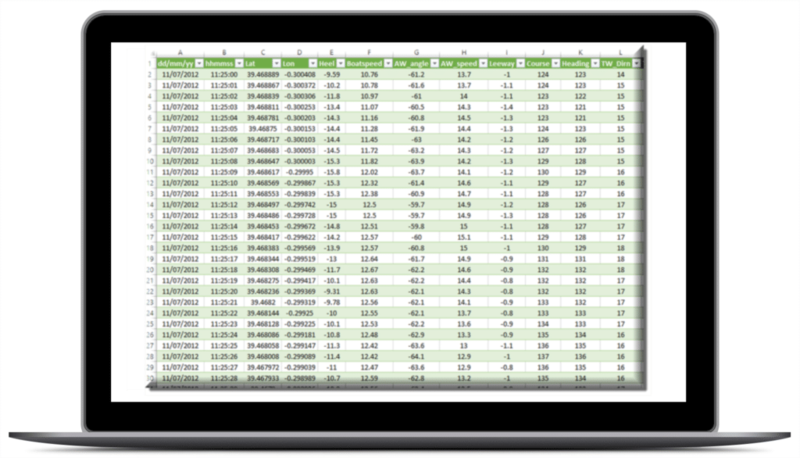 Add the power of databases to your performance analysis. Create, manage and overlay your boat’s polars. Create sail crossover for your boat’s sail inventory. 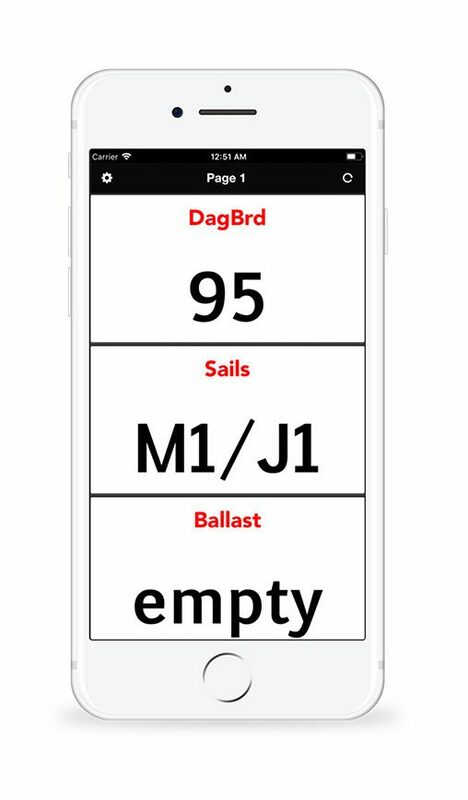 Log events while sailing (customized for on-deck touch screen).